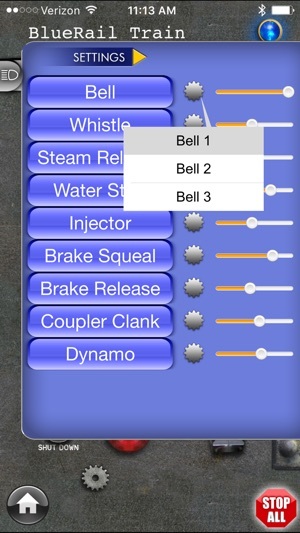 This app allows you to control bluetooth model trains containing BlueRail boards. 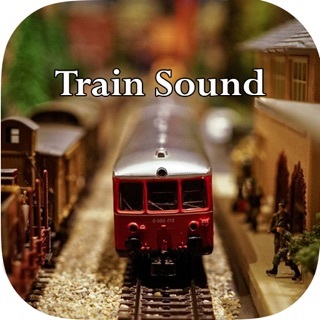 YOU MUST HAVE A BLUETOOTH MODEL TRAIN TO ENJOY THIS APP. 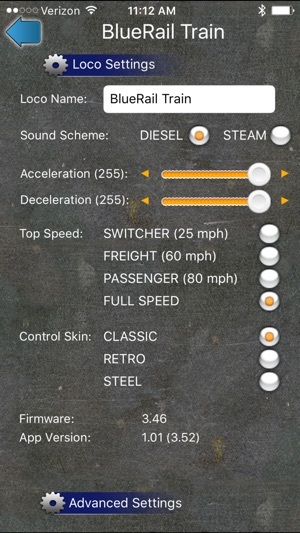 In addition to allowing control of multiple bluetooth trains from over 100 feet, the app allows for configuration of lights, sounds and motor tunings, as well wireless firmware update support. 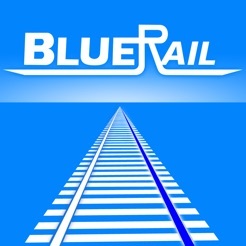 Please enjoy your BlueRail Train. Great potential; expect developer to continue to add capabilities. 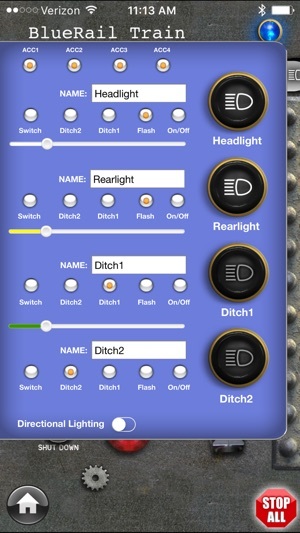 This app is a variation of the Bachmann E-Z App with additional features to support the Blue Horse board such as lights and accessories. 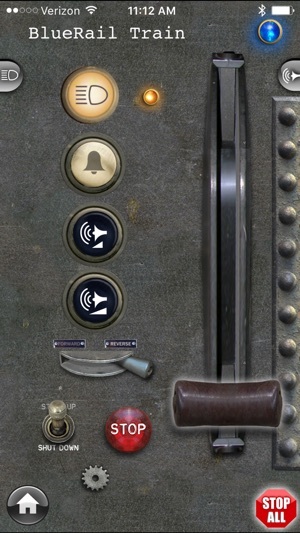 I have two of those boards from the initial shipment installed in small O-scale locomotives. Yes, they work and yes, they are easy to set up and control, however there seems to be a difference between the apps in the way power management is implemented. 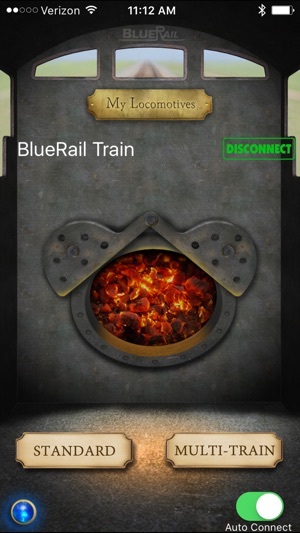 What I have found is that there is a great difference between the two apps when starting up a locomotive: the E-Z App starts and works as expected; the Blue Rail app goes into 'overload shutdown' under the same conditions wth less than 100ma current at 16V. My tests were made under controlled conditions and measured with a Keysight 34465A bench multimeter. I'm posting here because there is no support available as of June 9 other than the basic user manual. 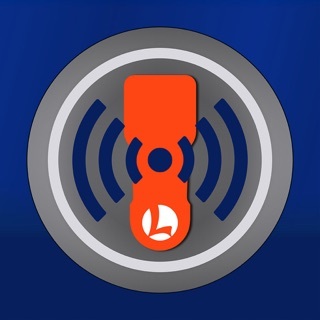 It is possible that the app is sensing back EMF whereas the E-Z App is simply feeding power, but if the board is that sophisticated, some detailed information and technical support might be nice. Posting an issue on fb will get quick attention and support. RTFM first as always. Great support for the issue in this review.